But he feels Burnley have also suffered at the hands of the officials as well this season. The Bluebirds looked to be closing the gap to the Clarets to two points last Sunday, when Chelsea skipper Cesar Azpilicueta netted an equaliser from a clear off-side position. The Blues added insult to injury with a late winner from Ruben Loftus-Cheek, and defeat at Manchester City on Wednesday left Cardiff five adrift of Burnley, having played the same number of games. 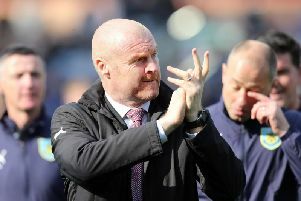 Dyche hasn’t been as animated as Warnock was after the Chelsea game, managing to keep his emotions in check, but said: “I wasn’t amazed by the noise, it happens, we all get wrapped up in the moment sometimes, and it does happen. 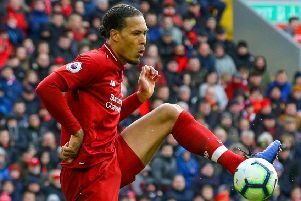 “I attempt not to cry it in, but I will say I don’t think we’ve had as many big decisions go our way as we would have liked, including in a tough, tight game against Leicester - two penalties not given that we think were clear. Burnley host Cardiff a week on Saturday, following Saturday’s trip to Bournemouth. Cardiff are without a game this weekend as Brighton are in FA Cup semi-final action against City at Wembley on Sunday.